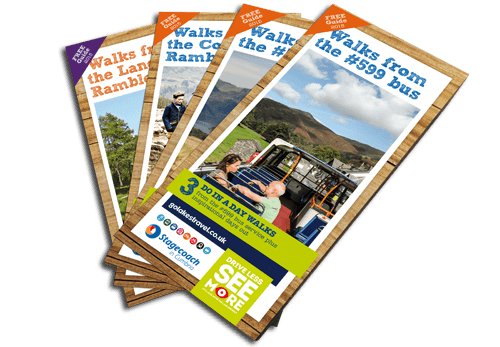 As part of Cumbria Tourism’s ‘See More’ campaign we’ve created a range of leaflets for walks from bus routes. The guides are aimed at encouraging people to leave their cars at home or at their accommodation and use public transport. As well as being a more sustainable form of transport, using a bus when you visit the Lake District gives you the opportunity to see so much more. You can take the top deck of an open top bus or get great views from one of the Lake District passes on a small rambler service.